This article has been written by Roman Sudolsky, a journalist at Forbes.ua. Below is the translation to English from Russian provided by Yevgen Sysoyev and AVentures Capital with some minor revisions. Americans, Russians and Danes are the most active in using talents from Ukraine to develop global IT products. The talents of Ukrainian software developers from Ukraine are well-known worldwide. A lot of western companies outsource software development to companies based in Ukraine. Some of them open offices in Ukraine and even set up their own R&D centers. Their activities are less known compared to the outsourcing companies. Forbes.ua, together with AVentures Capital, selected twenty international IT companies with the largest number of developers in their R&D centers in Ukraine. For a long time, Samsung did not advertise the presence of one of their largest European R&D centers in Ukraine. The grandiose opening of the center by the top management of the Korean company and Nikolay Azarov, the Prime Minister of Ukraine, was given only in May 2013. By then, more than a thousand employees had been already working at Samsung offices in Kiev and Kharkov. That was* only the beginning. Samsung plans to hire 2,000 more full-time employees by 2014. This will make the total number of employees at Samsung Ukraine equal to the number of employees of the largest outsourcing companies operating in Ukraine. “Our goal is to create the number 1 in CIS and Europe R&D center”, said Chang Young Kim, Vice President of Samsung Electronics, in May. In 2012, this South-Korean giant spent over $10bn on research and development, which is three times more than in 2011. Samsung keeps the information about its developments in the Ukrainian R&D center a secret. The company’s website only gives a general description of activities: a local office covers R&D activities in such areas as “computer vision”(a technology for creating machines that track, monitor, and classify objects), 3D graphic interfaces, image recognition technologies, applications for creating and applying new age multimedia content, solutions for device convergence and information security. The American company NetCracker is a software developer for telecommunications. The major clients of this vendor are from the USA, Canada, Western Europe and Australia. They buy a complex multi-module system from NetCracker to effectively manage the services of telecommunication companies. NetCracker is based in Boston, however, all of its R&D is based in Ukraine and Russia. The company has offices in Kiev, Odessa, Summy, Moscow, Samara, Saratov, Tolyatti, and Voronezh. Three Ukrainian offices, employing more than one-third of all the company’s staff, cover product development and testing, as well as client support. “It is not easy to work in this company, but it is useful to become a full-fledged engineer”, said Maxim Yasochka, company’s regional manager in Ukraine. SysIQ develops software and provides development services for e-commerce companies. Ihor Horin, a former Ukrainian citizen living in the USA, founded the company in 2000. The company is headquartered in San Francisco with sales offices in USA and Germany where the majority of SysIQ key clients are located. All development and client support are based in Ukraine. SysIQ offices are located in Kiev, Vinnitsa, Chernigov, Lugansk, Uzhhorod, and Mariupol. The number of employees in Ukraine has tripled over the last couple of years. In 2011, DOU portal recognized SysIQ as one of the best IT employers in Ukraine. Belarus-based Wargaming entered the elite of the world gaming industry in 2010 when it released its famous game “World of Tanks”. Today it is considered as one of the most popular multi-player online games in the world with more than 60 million users. Eventually, Wargaming became the largest game developer in CIS counties with revenue reaching 218 mln Euro. According to Victor Kisly, one of the founders of the company, Wargaming plans to double their revenue this year. In 2011, Wargaming bought First Studio, a Kiev-based company that had been delivering development orders from large western publishers and used to be the largest outsourcing studios in Eastern Europe. The Ukrainian division is working on a new game “World of Warplanes” for Wargaming, which is going to be another multi-user military online-battle with battle planes. The company has been doing open beta testing of “World of Warplanes” and is planning to officially release the game by the end of 2013, according to Kisly. This German group has been operating in Ukraine for the last 160 years. The company was engaged in laying down telegraph lines from St Petersburg to Sevastopol in 1853 and launched the first tram line in Kiev in 1892. Hundred years later, in 1992, Siemens opened its first representative office in Ukraine. From 1997, Siemens subsidiary together with its engineering team has been operating in Ukraine. Currently around 300 people work in main office in Kiev and other regional offices. Siemens has offices in Kiev, Donetsk, Kharkov, Dnepropetrovsk, Odessa, Lvov, Krivoy Roh, and Mariupol. The engineering-tech center of the company is based in Donetsk where it develops solutions for metallurgical factories, designs electro-technical equipment, and software and hardware for medical equipment. The affiliate has clients both in Ukraine and abroad. Roy Rubin, a Jewish American, founded Varien, a small web-development company in Los Angeles. In mid 2000’s, the company focused on providing services for online stores and started developing its own open platform Magento. It was by pure luck that Magento decided to locate its engineering center in Ukraine. In the beginning, developers were located only in Kiev, but later in 2009, Magento opened one more office in Dnepropetrovsk. Over time, the company’s staff reached 250 people, 99% of whom are based in Ukraine. In 2011, eBay, one of the global e-commerce giants, bought Magento for more than $180 mln. Today Roy Rubin works as a head of Commerce, one of eBay divisions. Ukrainian employees continue to work for the company. David Yang, a graduate of the Moscow Institute of Physics and Technology, founded ABBYY in 1989. Electronic dictionary “ABBYY Lingvo” remains the main product of the company. In addition to dictionaries, the company is working on development of text recognition system “FineReader” and streaming form filler “FormReader”. The Ukrainian office of ABBYY started its operations in November 1995. When the company was launched, only 7 graduates of the Cybernetics Department of the National Shevchenko University were working for the company. Currently, the company employs more than 200 people and Ukrainian office covers ABBYY operations in other 16 countries as well. In addition to ABBYY products, the local subsidiary is working on solutions for automated accounting and implements 1C accounting software in Ukrainian companies. Sitecore A/S, founded in 2001, is a large software company in Scandinavia. Computerworld recognized Sitecore as the best IT company in Denmark. The two major products of the company are CMS-system Sitecore and Customer Engagement Platform. Both products target B2B market and help do business online. Ukrainian office in Dnepropetrovsk was opened in 2004, where the core team of Sitecore is based now. In May 2011, a small affiliate was launched in Vinnitsa. DOU portal rated Sitecore (in 2011 and 2012) as the best product IT company in Ukraine. Founded in 1971 and headquartered in Denmark, SimCorp has more than 40 years of experience in developing solutions for the financial industry. SimCorp is listed on NASDAQ OMX Copenhagen A/S. SimCorp with more than 1,000 employees around the world is a global leader in high-tech solutions for investment and asset management companies. Ukrainian office of SimCorp was opened in Kiev in 2005. Currently the office develops one third of SimCorp products and performs half of the work on testing solutions. Ukrainian developers are legally hired and reimbursed, which is unusual for western IT companies operating in Ukraine. Playtech is the world’s largest online gaming software supplier traded on the London Stock Exchange. Its market capitalization is around $2.18bln. Playtech belongs to William Hill, one of the largest bookmaker companies. Research centers of Playtech are based in UK, Sweden, Estonia, Israel, Bulgaria and Ukraine with the Kiev office opened in 2011. The main focus of Ukrainian division is Java and .Net for bookmakers and card games projects of the company. Earlier, Playtech announced their plans to grow the number of employees in Kiev office to 300-400 developers. Yandex, the largest online company of Runet has been operating in Ukraine for the last 7 years. The first office was opened in Kiev in 2006. Currently, the company also runs offices in Odessa and Simferopol. The biggest number of employees works at Yandex in Odessa office where company’s commercial division is based. This office sells Yandex services in all regions of Ukraine except Kiev and Kiev region. Odessa office also hosts financials and administrative departments of Yandex Ukraine, search directory teams, sales marketing department, business development and search quality departments. Kiev office hosts local commercial department, marketing team, translation department and two teams of developers. Interface and internal tools development happen in Simferopol office. The largest French developer Gameloft creates games for smartphones, tablets, game consoles, as well as for social networks and browsers. The company is a global leader in mobile games niche. Gameloft is publicly traded with market capitalization over $570 mln. Gameloft employs 5,000 people in 40 countries, including Ukraine (since 2007). Local office of the company is in Kharkov, where Java-programmers, C++ developers and 2D and 3D graphic designers are located. Huawei is the largest company in China and one of the largest global vendors of telecommunication equipment and consumer electronics. Market capitalization of the company exceeds $2.4bln. The company spends around 10% of its revenue on R&D, with more than 40% of its staff being involved in R&D. From the beginning of 2010, Huawei has been expanding aggressively in post-soviet countries. The company established relations with Ukrainian network providers, such as Kyivstar, MTS, Astelit and others. Over the past year, the company has increased its presence in the personal digital devices market and launched a line of smartphones. It is unclear why Huawei hires developers in Ukraine. According to unofficial information, they are working on software localization for mobile devices. In March 2012, the Chinese corporation opened its authorized network academy at the National Shevchenko University. Playtika is a game start-up founded in Israel in 2010 by a team of experienced entrepreneurs. The company was growing fast and was acquired by Caesars Interactive Entertainment one year later for $80mln. Caesars specializes in interactive games. Slotomania, the flagship product by Playtika, was ranked among top-10 games on Facebook in 2011. The company develops games for 10 different platforms, predominantly for social networks and mobile devices. Games are developed in three countries: Israel, Ukraine, and Belarus. 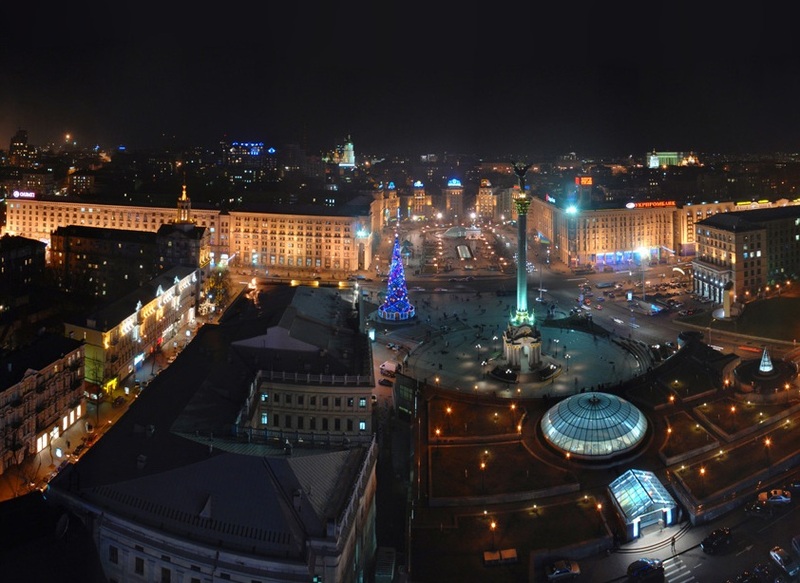 Ukrainian offices are located in Kiev, Vinnitsa, and Dnepropetrovsk. EngagePoint was founded in 2007 and has grown from a garage startup to a large company with the American government being the main client. One of the key messages of the presidential campaign of Barack Obama was health reform (Obamacare). This reform envisages creation of a new system of healthcare insurance based on technological software platform. EngagePoint is the main supplier of such a system in four states of the USA and the company plans to expand its presence in other states. The majority of the company’s products are developed in the R&D centre in Kiev. At EngagePoint, Ukrainian employees also have an exchange program opportunity with the USA. Adstream was founded in Sydney by three Australian entrepreneurs and is currently one of the leading developers of advertising production and digital marketing tools. The company sells its solutions in 93 countries. The company serves more than 5,000 clients through over 30 regional offices around the world. One of the company’s offices is in Kiev. Adstream doesn’t disclose what Ukrainian office is working on. Serena Software was founded in California in 1980 and has progressed to become a leading player in the market of Application Lifecycle Management. Serena Software sells its solutions to major corporate clients, including Boeing, US Department of Defense, Ford, UBS, Deutsche Bank and others. The company’s major R&D centers are in the USA and the UK. In 2005, Serena Software hired a small team of three developers in Kiev for one of its projects to work distantly. The office was growing and later transformed to a full-fledged R&D center in 2007. The office expanded to hundred employees in 2013 and continues hiring new employees in Ukraine. Crytek is one of the most famous companies in European game industry that developed many popular games such as Crysis and Far Cry. The company was founded by three Turkish brothers in 1999 with a focus on 3D shooting games for different platforms. Crytek has its headquarters in Frankfurt with subsidiary studios in Kiev, Budapest, Sofia, Seoul, and Nottingham. Kiev office, established in 2005, started its operations as a small outsourcing team of 8 people who were hired to work on different projects of Crysis. Over the past couple of years, the office has expanded to 100 people and is now working on online shooting game “Warface”. In January 2013, this game became a world champion in the number of game players located on one server at a time (145,000 users). Aricent produces software for network operators and service providers and is one of the largest companies in this niche. Aricent is headquartered in California. In Ukraine, Aricent is based in Kiev and Vinnitsa. Ukrainian offices belong to a company called frog that is owned by Aricent Group. frog, does design and software development across a broad spectrum of industries, including telecommunications, consumer electronics, media, medicine, energy, and others. Their clients include many Fortune 500 companies: Disney, Microsoft, AT&T, General Electric, HP, Logitech, MTV, Yahoo, and UBS. The majority of frog staff is based in Ukraine. One of the latest innovations of the company is a new Android smartphone interface for Sharp, the Japanese company. Get in touch with us if you need advice on opening an R&D office in Ukraine or another CEE country, or if you’d like to find a reliable supplier of custom software development services in Eastern Europe.